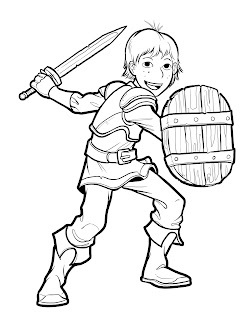 fantasy role-playing game for kids aged from 4-10. 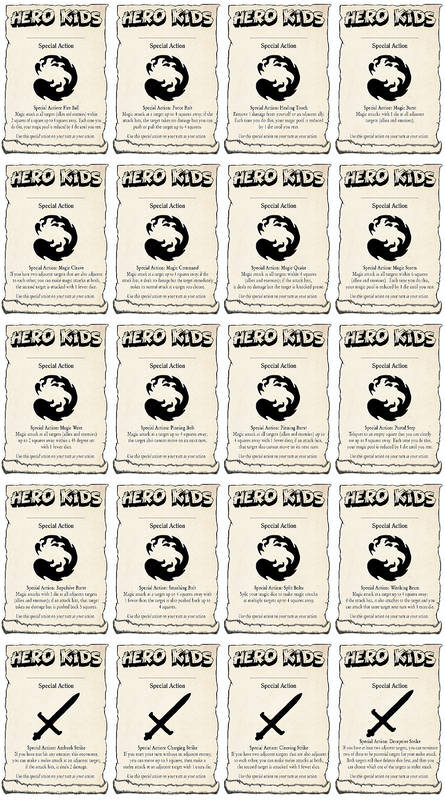 No time like the present to scrape the latest Hero Kids reviews for insights. "Simple, objective, upgradable, replayable, PERFECT! Awesome to play with kids but I cannot deny that I am playing with a group of adult friends and we are having a lot of fun. LOL"
"Great product! 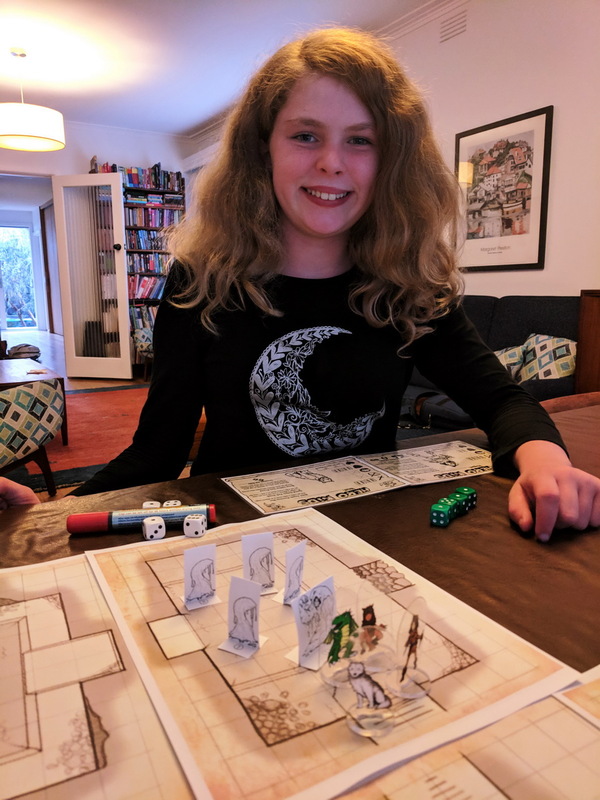 I was wanting to introduce my 9yo to tabletop RPGs and this was a perfect way. She grasped it quickly and wants to play every weekend now. I will be buying the rest of the modules now I guess! Thanks!" 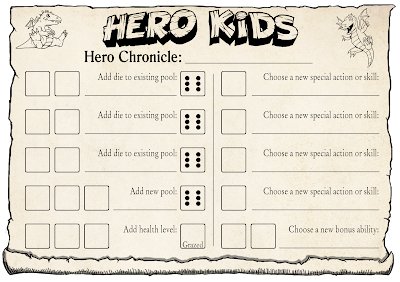 "This is absolutely fantastic for younger kids getting into rpg's, i started by getting my kids (3, 4 and 8) to choose a hero out of the coloriong book, a separate free download, and got them to color in their heroes as we played (a helpful distraction at times for the younger 2). I had my 8 year old help the 3 year old at times but he is definitely keen to play more, and all 3 kids already feel a connection to there heroes and each others, (one encounter I may have KO'd one of their heroes causing them to get a little upset....but they worked out they could use a potion on him to get him up again). Things are easily modifed to suit your needs with age differences etc. and the book has a few tips on running a game with younger players. I'm so glad i found this!" "This was a good adventure to work on listening skills - trying to keep a list of tasks and the order she wanted to do them in to help the most people. It also highlighted that we needed to discuss with her about what is ok to keep secrets about vs things that should be discussed with an adult. Amazing what a 'simple game' can make parents realize :-)"
"6.5 year old has very much enjoyed the game - we've played 2 of the adventures so far - one of which we did one evening while on a family vacation - just had printed the adventure beforehand - handful of 6 sided dice and a very compact game to play whereever the desire (or boredom) may strike. Simple rules, simple math, the adults have had fun, she has had fun. Works on listening skills, critical thinking, some good math practice for the age group, and at least one of the adventures highlighted a discussion we needed to have on what kinds of things are appropriate for "keeping secrets" vs what should be discussed with an adult." "This is a great system—not only for introducing young kids to RPGs, but also for enabling families with young kids to play RPGs together. The system is simple enough for very young children to be able to play, but has enough detail that older kids can enhance their characters' capabilities as they understand more. 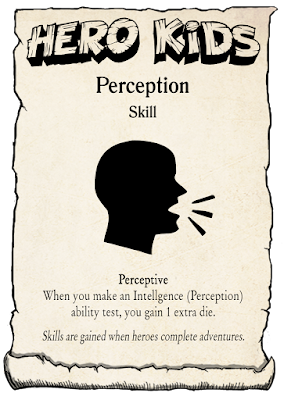 All of the player characters (many fun pregenerated options are included) have a special ability. My kids have latched on to these; each is excited about their character's special strengths and functionality. 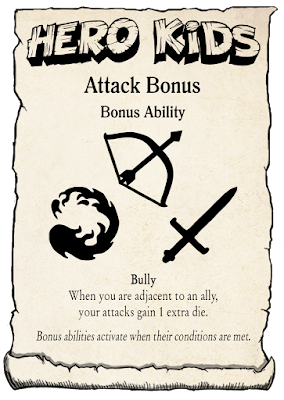 The enemies also have well-concieved special abilities, so there's some exciting variety in combat even though the combat mechanic is very simple and easy for all to navigate. 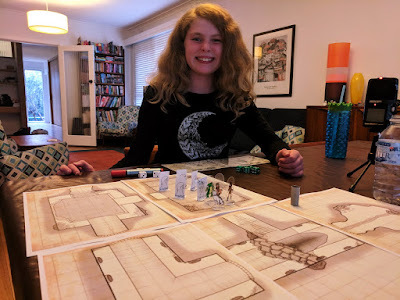 The published adventures are a lot of fun, and always include enough detail to help inexperienced DM parents narrate a compelling story for the kids. Of particular note are the maps. They're done simply but very well. 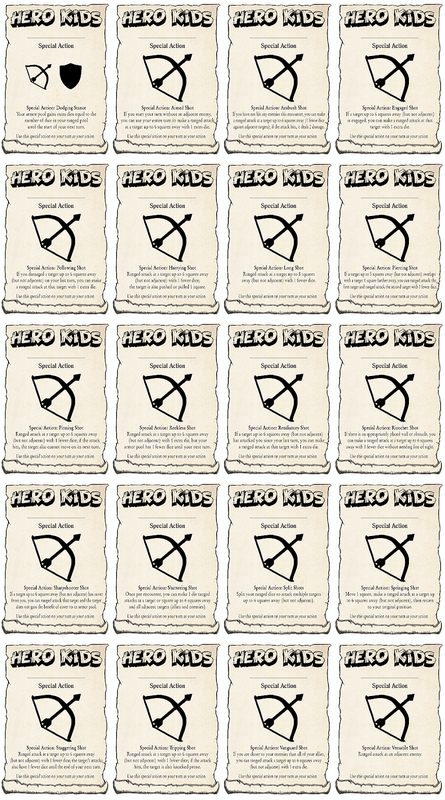 They're nice to print out and keep around for reuse in other adventures in other systems. That's all enough to make this a great system; but to sweeten the deal, the prices are very reasonable." 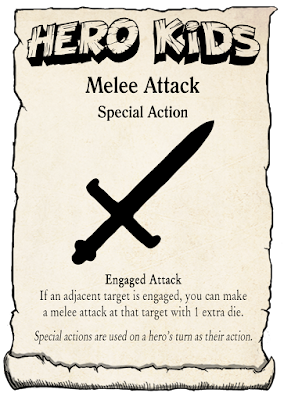 "The first adventure focuses only on combat, and is incredibly repetitive. Fight a group of rats, then another group of rats, then a third group of rats, then the rats and their king. I'm not adverse to violence (I love intriguing fights), but the system is so simple that the fights become boring very quickly on the one hand, and on the other hand: is this REALLY what RPGs are about? Kill monsters? I think we all know there are about much more than that. They are about the wonder of discovery, the relationship between characters, moral questions and problems, etc. Kids are NOT too young to deal with these issues! 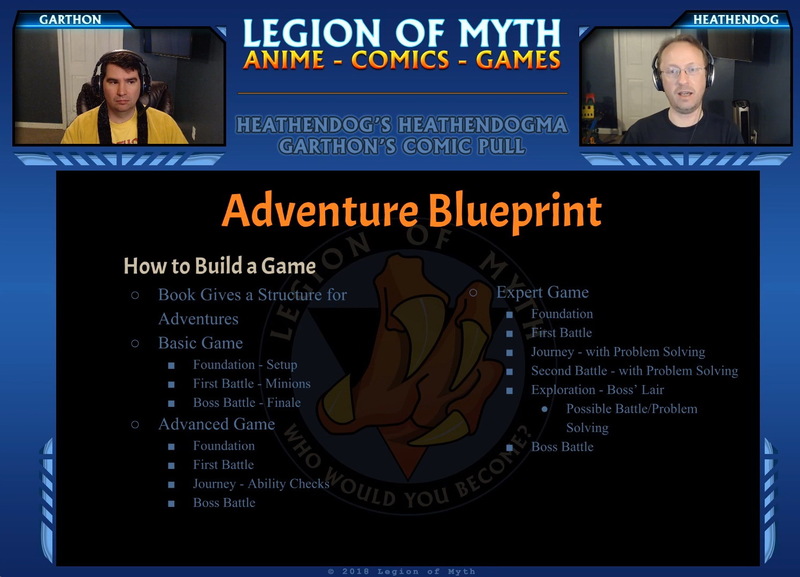 By focusing the adventure (and indeed, the core system) only on combat, it diminishes their potential enjoyment of the game." The heavy focus on combat for this adventure was intentional, to the extent that anything I wrote that long ago was intentional. As the intro adventure, I wanted the adventure to focus heavily on the mechanically-codified section of the game, combat, rather that on the more free-form aspects of the game, exploration and role-playing. 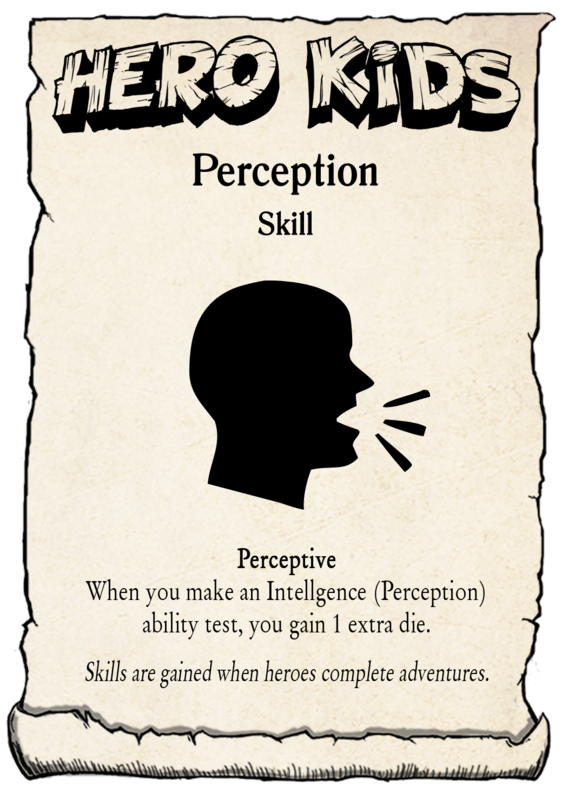 With an extra six-year's experience under my belt, Darkness Neath Rivenshore is somewhat of a replacement for Basement O Rats. 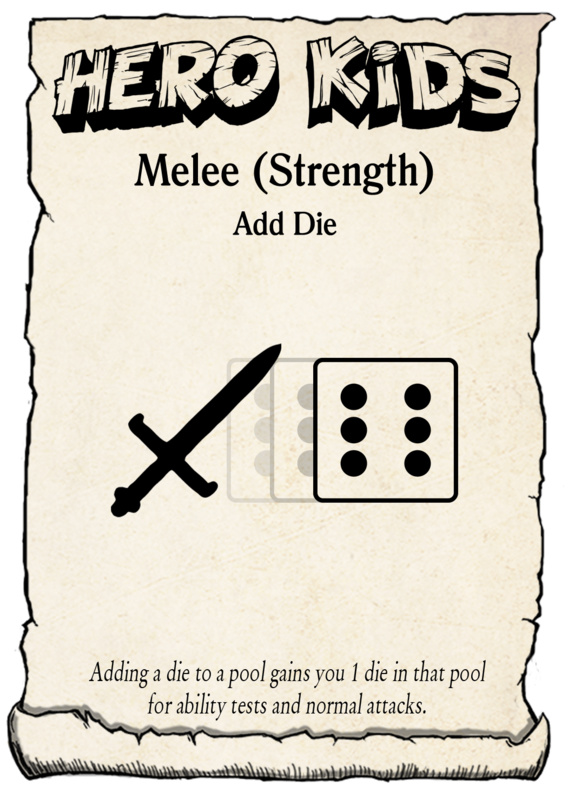 So, I guess if people don't like Basement O Rats, they should play Darkness Neath Rivenshore as a better representation of the role-playing experience. 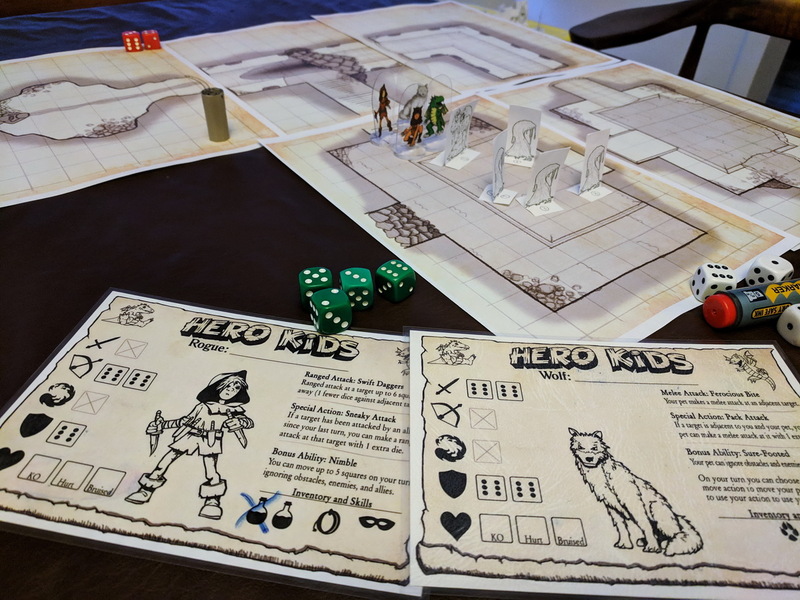 "Overall, this is a recommended purchase for any parent who wants to involve his or her kids in RPGs for the first time, but be aware you'll need to do a lot of tweaking to the adventures." 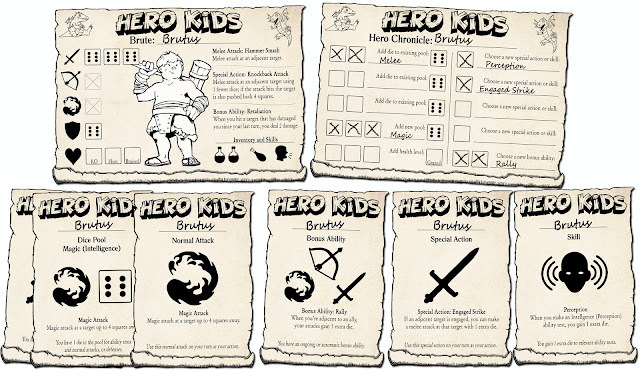 Let's talk about character development in Hero Kids. 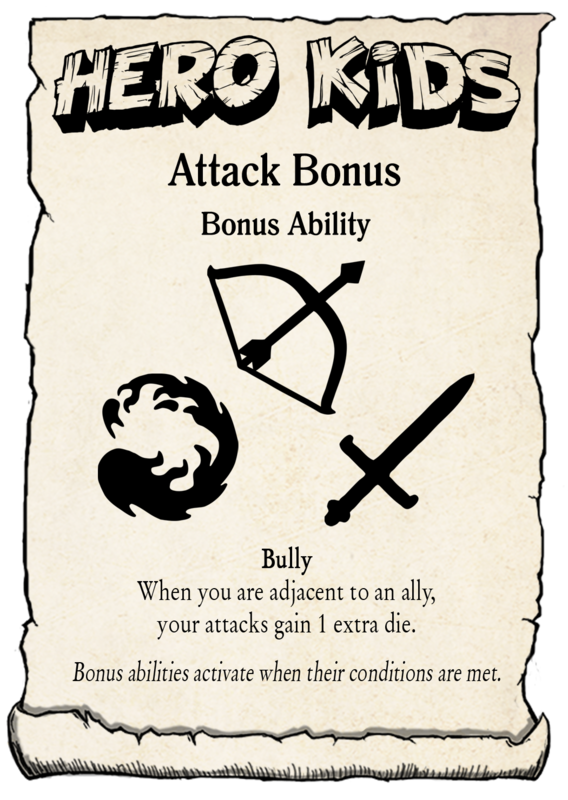 Thus, I recently directed the Eye of Sauron to the task, and worked up some ideas for how character development could work in Hero Kids. 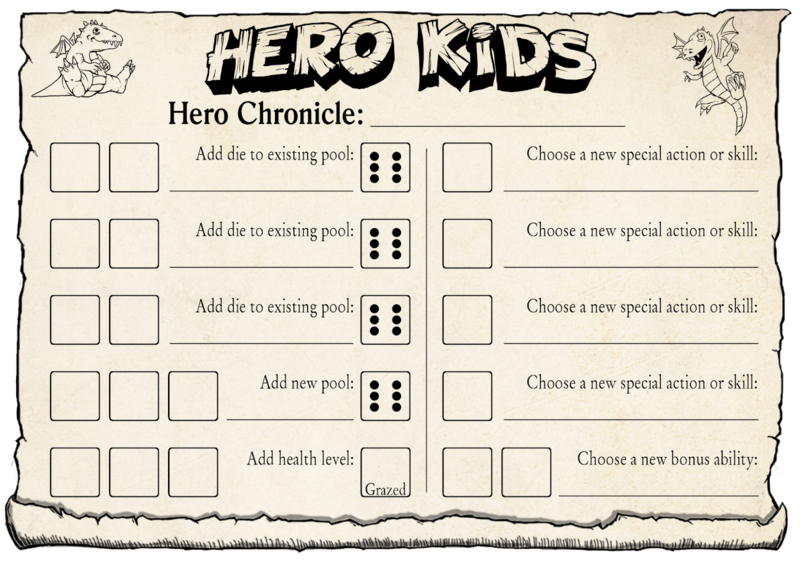 Each hero has a corresponding 'Hero Chronicle'. So, that's the working idea. Leave a comment below with feedback and discussion. 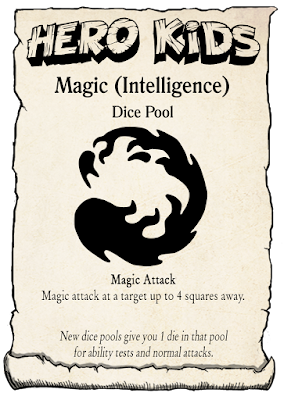 I'm keen to hear whether this seems feasible, or whether the great eye needs to look further afield. 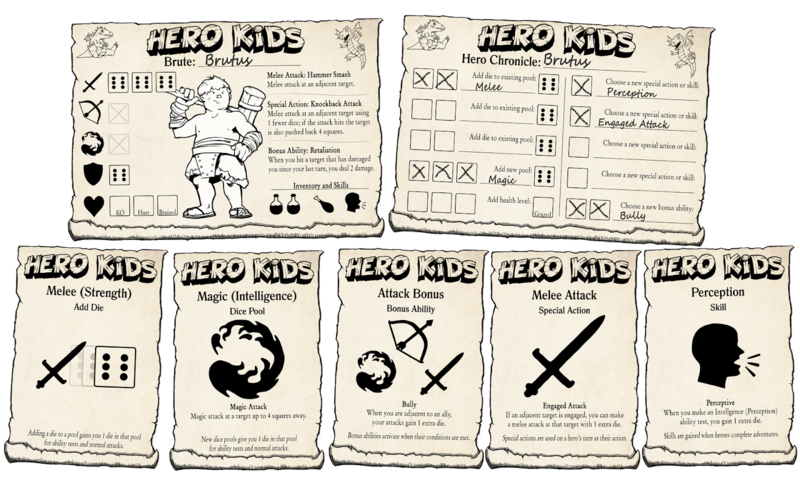 People who've never played RPGs before often ask, "How do you even play Hero Kids?" This is a great question. 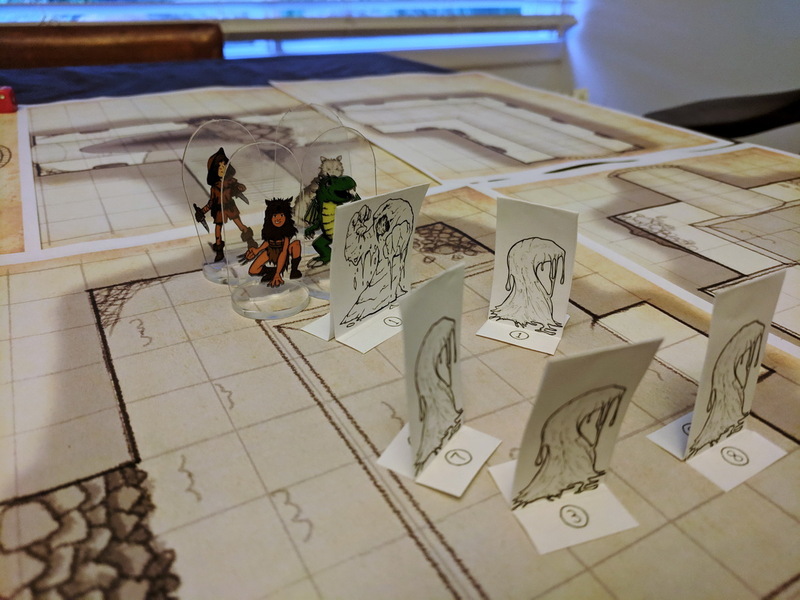 So much of playing RPGs is learned through participation and tradition. Which makes it hard for people to get started outside of that tradition. This was my first shot at recording video and audio, and comes with a bunch of embarrassing qualifications and apologies. • The exposure fluctuates a bit at the start, I kept moving the papers. 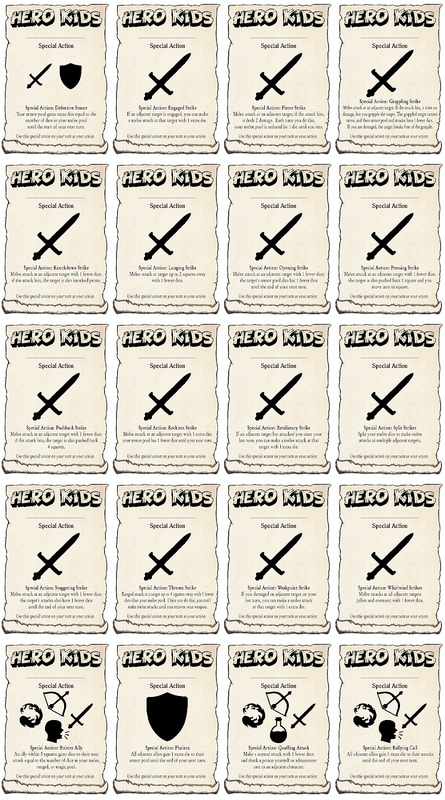 • I read too much of the adventure text verbatim (when you're running Hero Kids it's best to internalise the gist of the text blocks rather than read them like I did). • Any rules mistakes are all my responsibility. 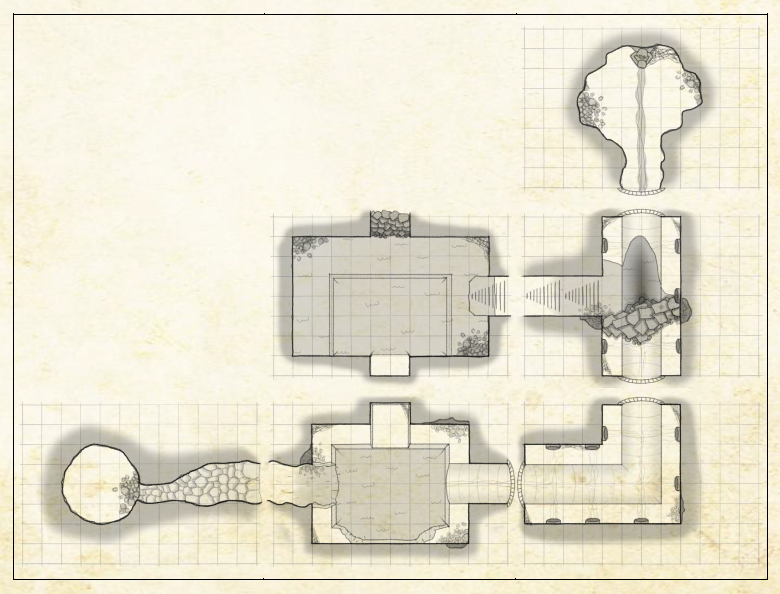 • The adventure changed slightly after this paytest; I added another puzzle in the encounter with the dire rats. 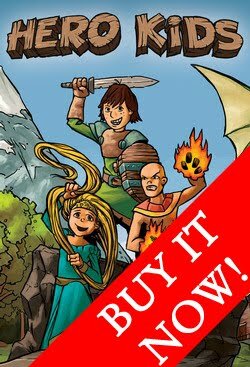 I've just released a new Hero Kids adventure; Darkness Neath Rivenshore! 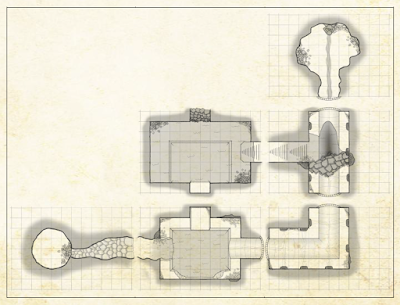 This seven-encounter adventure takes place in the ancient tunnels, chambers, and cisterns beneath Rivenshore. 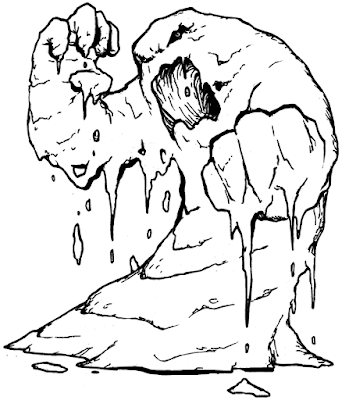 When the town’s well runs dry, a child’s pleas for help echo from the dry pit. The kids must delve to rescue the lost child. 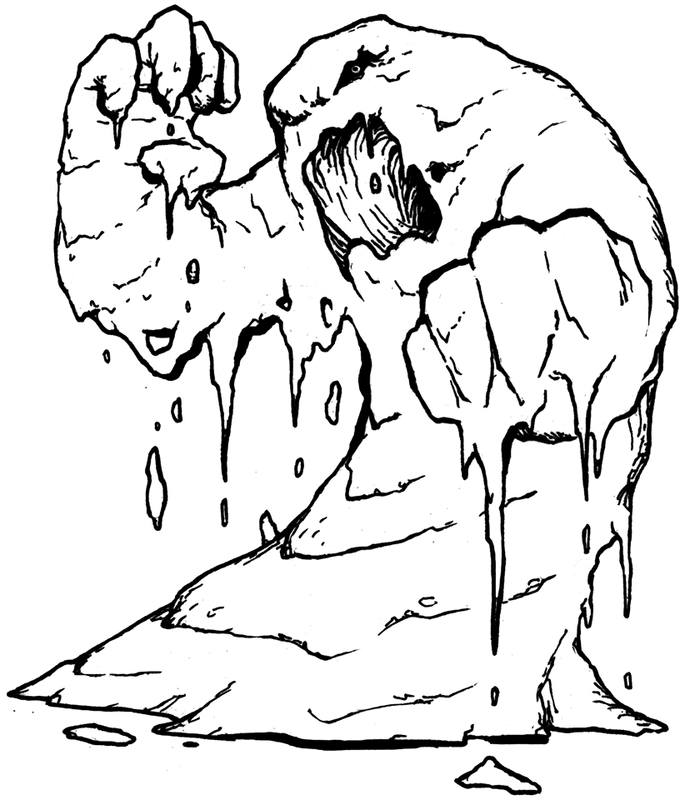 Yet something sinister lurks in the ancient structures beneath the town, and the kids will need all their skill and bravery to rescue the lost child Emon. In the ‘rescue’ ending, the heroes find the child hiding in the final room, and reunite him with his parents. In the ‘ghost’ ending, the heroes find the child's bones, and take them to the cemetery to bury alongside his family. I playtested the adventure with the 'ghost' ending, which my kiddos found challenging, but not distressing. Once we got to the climax of the adventure, my youngest - Dash - twigged pretty quickly about the bones at the bottom of the fountain pool. Violet was a bit more affected by the ending of the ending of the adventure, but they both determined to help reunite Emon with his (also long-dead) parents. 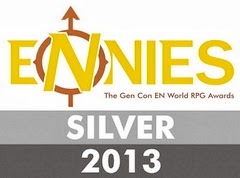 All in all, I was very proud of how they dealt with the adventure. 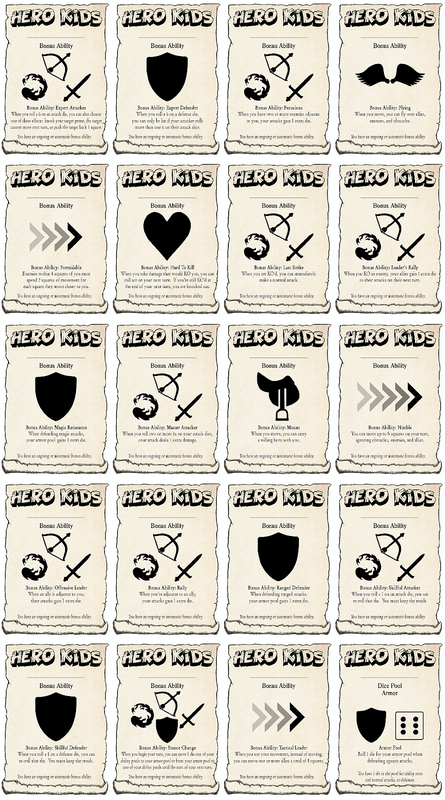 Thanks everyone for your feedback around the idea of having a somewhat 'mature' ending for the next Hero Kids adventure: Darkness Neath Rivenshore. In the ‘rescue’ ending, the heroes find Emon hiding in the final room, and reunite him with his parents. In the ‘ghost’ ending, the heroes find Emon’s bones, and take them to the cemetery to bury alongside his family." In other news; Violet, Dash and I have been playtesting the adventure, and everything's looking great! Stay tuned! 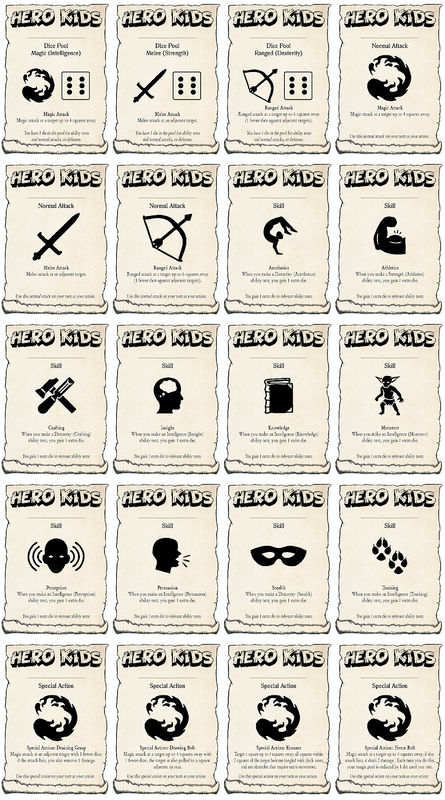 Hero Kids people. Help me out. 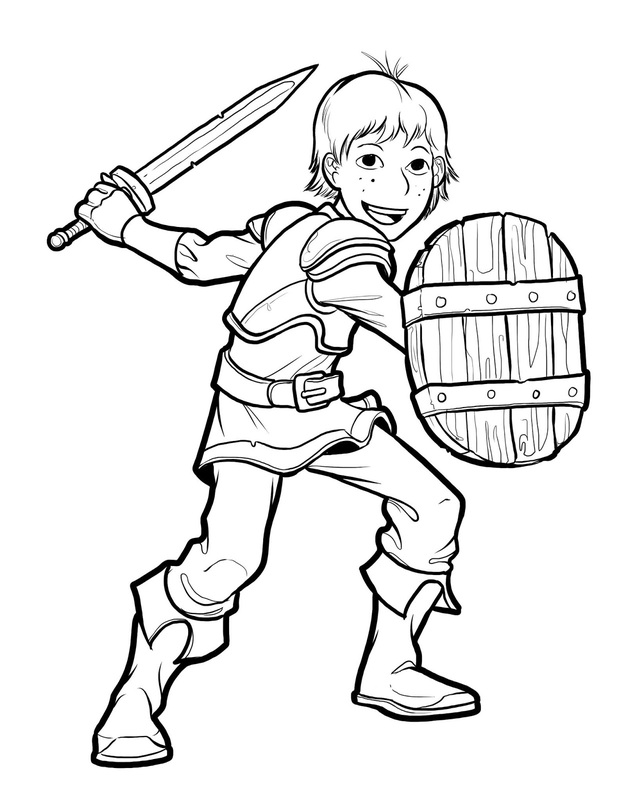 I've been writing a new Hero Kids adventure, where the heroes rescue another child who's trapped down a well. However, I had a quandary last night: I'm not sure that all parents will be cool with the story tilt at the end of the adventure. Basically, the child is revealed to be a ghost who died in the well hundreds of years ago, and in the end the heroes lay the ghost to rest and reunite it with its parents. 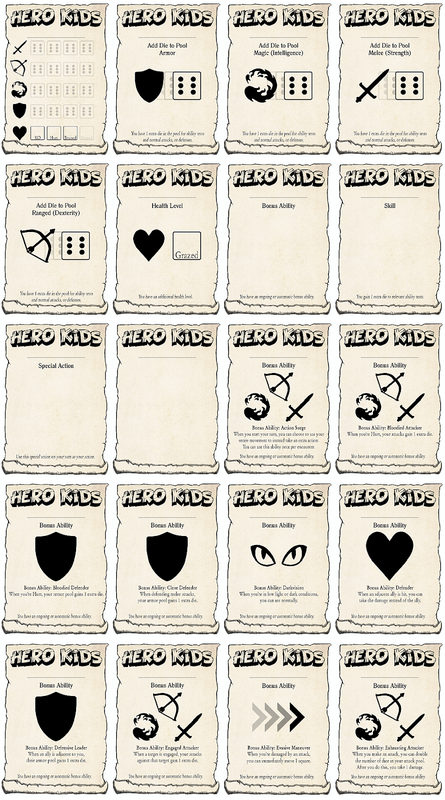 What do you think of this kind of content for Hero Kids? Should I switch it to a straightforward rescue mission? Justin is a 20-year veteran of the videogame industry, and he's been playing table-top RPGs even longer. He now works for a Public Service Innovation Operations team. When I'm not talking about games (RPGs, boardgames and videogames), I also post about the following topics: social issues, climate change, and tech stuff. Hero Kids Bundle of Holding! 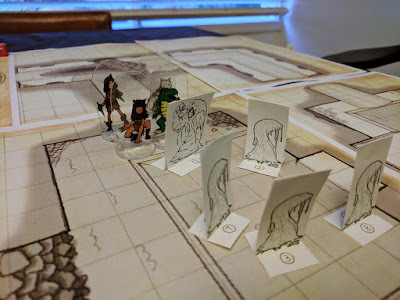 Reign of the Dragon adventure!